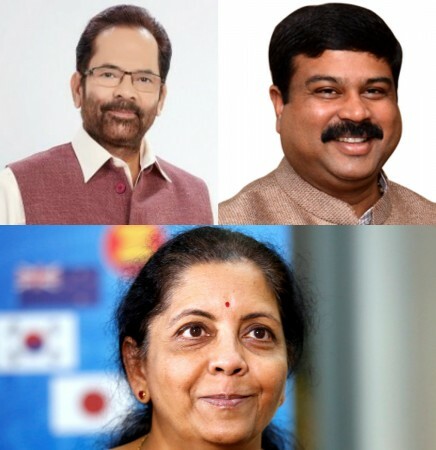 Nirmala Sitharaman, Dharmendra Pradhan and Mukhtar Abbas Naqvi along with Piyush Goyal have been elevated to the post of Cabinet Ministers. Read on to know more. 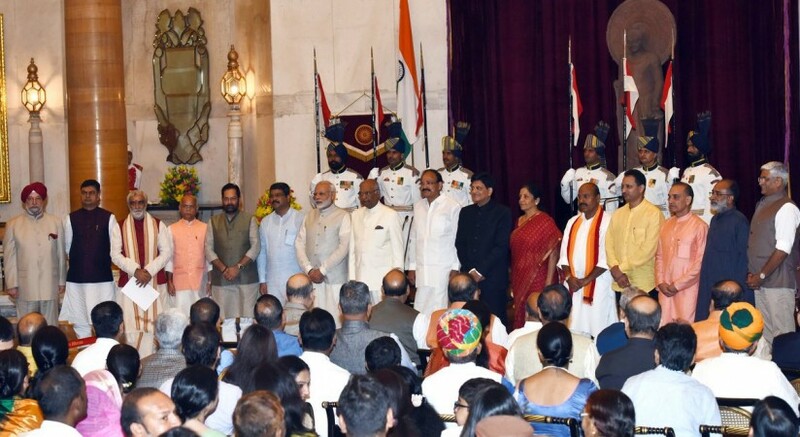 Ministers of state with independent charge Nirmala Sitaraman, Dharmendra Pradhan and Mukhtar Abbas Naqvi have been elevated to the post of Cabinet Ministers in the third reshuffle of the Narendra Modi government which took effect on Sunday, September 3. Nirmala Sitharaman has been appointed as the new defence minister. Union Finance Minister Arun Jaitley was handling the responsibility of the defence ministry ever since the departure of Manohar Parrikar to serve as the chief minister of Goa. Sitharaman, who earlier held the independent charge of the commerce and industry ministry, thus became the second woman to take charge of the defence ministry after late prime minister Indira Gandhi. Former chief minister of Jammu and Kashmir Omar Abdullah congratulated Sitharaman after the elevation. "Wow, straight from MoS (independent charge) to a seat at the Cabinet Committee on Security. Amazing trajectory. Well done Sitharaman ji," said Abdullah in a tweet. Dharmendra Pradhan, who had been the independent charge of the oil and petroleum ministry, will now be the new skills development minister. Pradhan has replaced Rajiv Pratap Rudy. "I am humbled at the trust and confidence reposed on me by Honourable Prime Minister, Party President and senior leadership of the Party," Pradhan said on Twitter. Meanwhile, Mukhtar Abbas Naqvi has taken oath as minority affairs minister at the ceremony held at the Rashtrapati Bhavan. "Thank you for the wishes. Media, friends have played a huge role in my success," Naqvi was quoted By CNN. Naqvi's elevation means that Union Cabinet will have representation of a Muslim member. In fact, after the exit of Najma Heptulla from the Modi cabinet, Naqvi is now the only Muslim face with a full-fledged portfolio. "Our aim is to make a 'New India' which is inclusive of the poor, the downtrodden and other weaker sections of the society. I will try to fulfil the responsibility that the prime minister has entrusted me with," Naqvi told India Today.